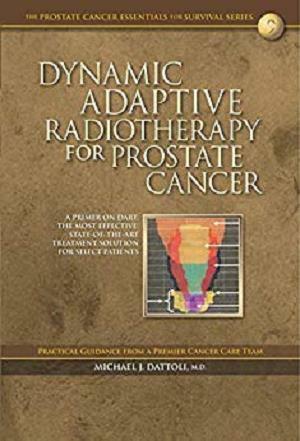 This booklet provides a comprehensive overview of Dynamic Adaptive Radiotherapy (DART), the most advanced radiation therapy for the treatment of prostate cancer, utilizing all available technologies associated with 4 Dimensional Image-Guided Intensity Modulated Radiation Therapy (4D IG-IMRT). This title is part of the Prostate Cancer Essentials For Survival Series sponsored by the Dattoli Cancer Foundation. Michael J. Dattoli, M.D. is an internationally renowned radiation oncologist and brachytherapist. 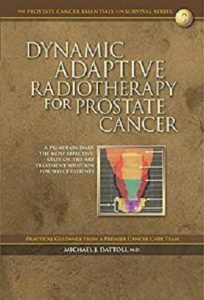 As a leading specialist in the treatment of prostate cancer, Dr. Dattoli has published numerous peer-reviewed research studies and has reported the most successful long term cure rate in the world using DART and palladium brachytherapy.